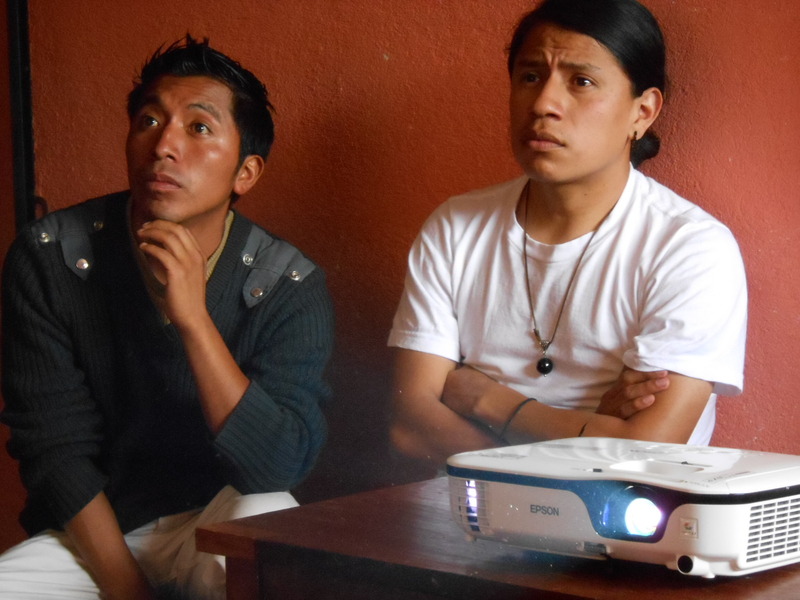 In Hector and Beatriz’ home in Argueta, Sololá, Guatemala, Hector outlined the organization and the mission of the new group. Rony López (left, Maya Mam), and Walter Amilcar (Maya Kaqchikel), watch the presentation by Hector, given on their brand new Epson digital projector, donated by MAM supporters for exactly this kind of purpose. 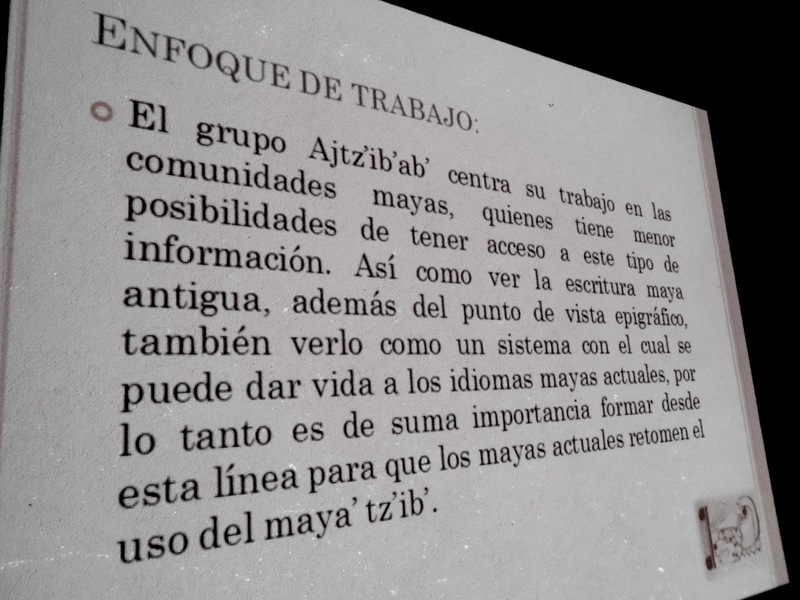 Reading the mission statement of the new group, Ajtz’ib’ab’, reinforces our own mission at MAM and energizes us to keep on with our work. 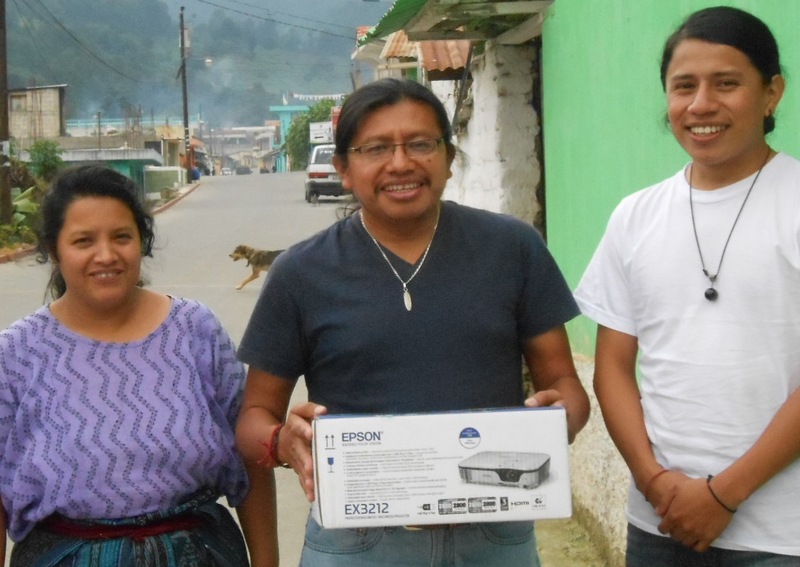 Work focus: The Ajtz’ib’ab’ group’s work is focused on Maya communities, which have fewer opportunities to gain access to this kind of information. 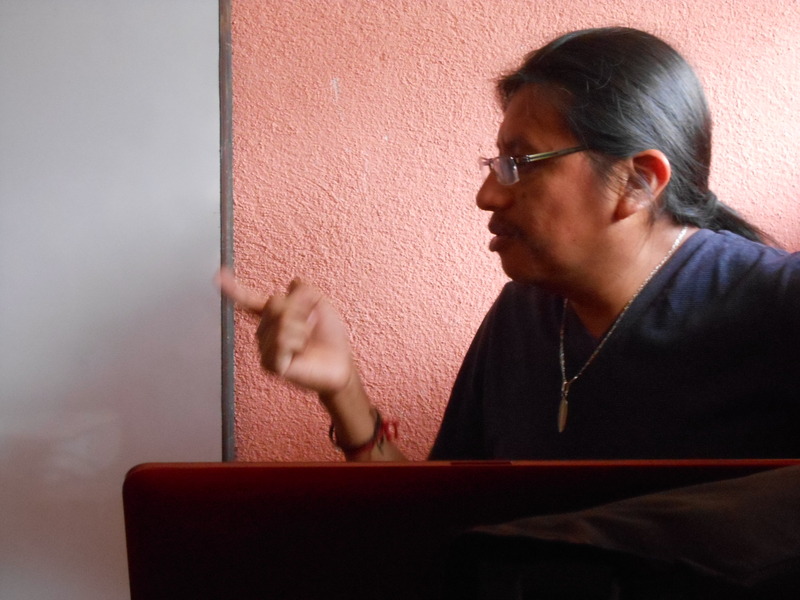 Furthermore, it does not consider ancient Maya writing only from an epigraphic point of view, but also as a system by which contemporary Mayan languages can attain a new life. 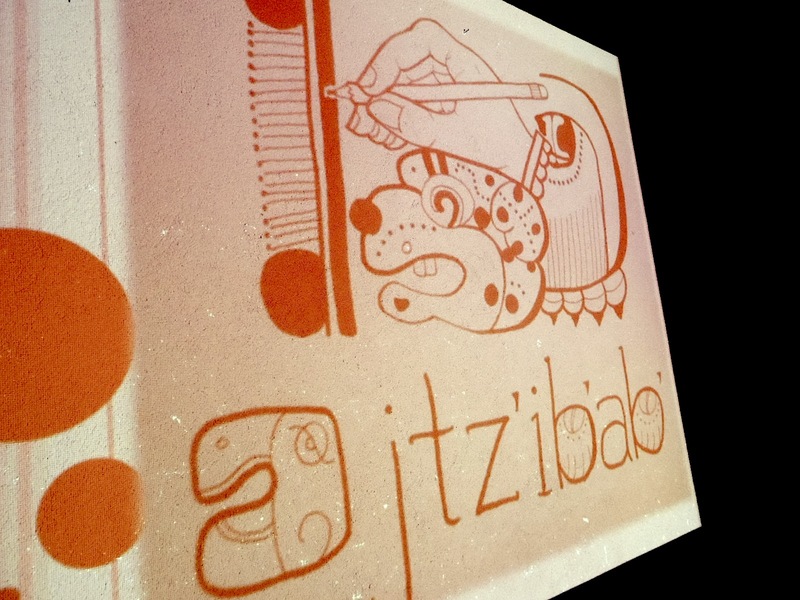 It becomes extremely important to teach along these lines so as to allow the modern Maya to regain the use of Maya Tz’ib (Maya hieroglyphic writing). Beatriz joined us for the farewell group photo. We look forward to tracking their work in the future.